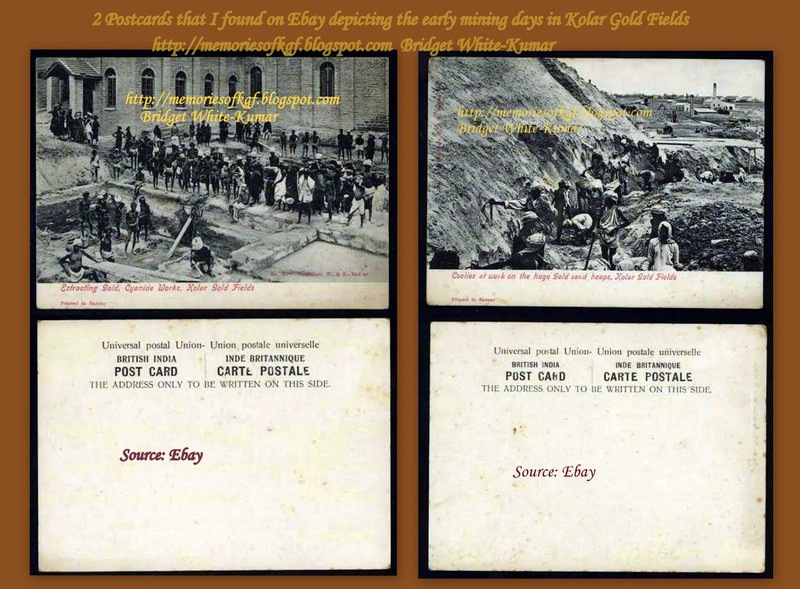 In the early days when the John Taylor and Company started mining operations in Kolar Gold Fields, the miners worked in hazardous and humid conditions underground at the risk of their lives. They went underground in a bucket let down by a rope practically crawling down the shafts with only candles to illuminate their way. It was much later that oil lamps were used to light their way under ground. They had to work in the dark, dangerous and cavernous underground passages, often bare headed or wearing flimsy hats made of cane. Some of them just covered their bare heads with a towel or a piece of cloth. The temperatures were very high under ground and often touched 67 Degrees Centigrade. It was literally like working in hell and their bodies were often burnt black with the heat. Many of them developed heat sores and boils but carried on their wok never the less. The early Miners also had to handle explosives with their bare hands at high risk to themselves. Several of them met grisly ends when the explosives went off accidentally and many fell to their deaths in the deep tunnels. The underground tunnels were damp, dark and unhygienic, so epidemics like plague and cholera were also rampant due to the poor working conditions. These workers risked their lives to mine the gold that made the John Taylor and Sons Company richer by the day! Since labourers were in short supply, the Company insisted on the workers wearing a metal bracelet on their left hand, which had the name of John Taylor and Company, embossed on it along with a number and name of the mine. This was to ensure that the workers did not run away, and if they did, they would be found quite easily as the bracelet was very tight and wouldn’t come off easily. The workers had no option but to wear it. (However, this practice was given up only in 1940 when the miners formed their own unions).